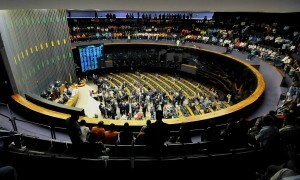 RIO DE JANEIRO, BRAZIL – Deputies and senators from non-oil producing states have secured enough signatures to force a vote on President Dilma Rousseff’s partial veto of a controversial oil royalties bill. The politicians want the vote to take place before the year’s end, according to Agência Brasil. Câmara dos Deputados (Chamber of Deputies), the Lower House of Brazil’s National Congress, photo by José Cruz/ABr. Rousseff recently used her presidential veto to remove a provision in the bill that would have distributed royalties from existing oil concessions more evenly between producer and non-producer states, leaving intact plans for a more equitable distribution from future oil concessions. Senator Wellington Dias (PT-PI) said there are more than the minimum fifty percent plus one signatures in both the Chamber of Deputies and Senate to secure the vote. “Just as we consider it legitimate for the president to enact a veto, the Constitution also sets out the right for National Congress to analyze the veto and […] overturn it and pass the law, without returning to the president,” Dias said. The senator also defended the right of non-producing states to use oil royalties in multiple areas, after Rousseff said the bulk of the money would be channeled towards education in the future. The issue may eventually head to the courts if the presidential veto is overturned. “It will only be possible to avoid the judicial process if the veto is not overturned. If the contrary happens, the question will go to the Supreme Court. The STF [Supreme Federal Court] will defend the Constitution and, by means of it, the producer states,” warned deputy Alessandro Molon (PT-RJ) who represents the oil producing states. A legal battle is unlikely to appeal to the government, with two oil concession auctions next year, the first in a half-decade, dependent on the bill’s approval. Brazil’s oil industry was first opened to foreign firms in 1997, with the lion’s share of oil royalties—around ten percent of sales revenue— going to the federal government and oil producing states since then. 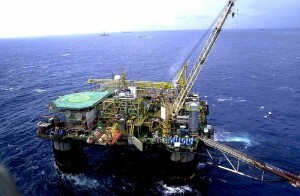 The discovery of large deepwater ‘pre-salt’ oil reserves in 2007, around fifty billion barrels according to some estimates, heightening preexisting tensions with non-producing states who felt they were missing out on the income. Rio de Janeiro, Espírito Santo and São Paulo, the three main producer states, were deeply unhappy with a draft bill passed by parliament’s lower house in November which proposed a more equitable distribution of oil royalties from both existing and future contracts. They point to the Constitution which describes royalties as a recompense for the extra costs and risks that oil brings. The president’s partial veto may have been an attempt to find a middle ground, with government figures suggesting municipalities in producer states are set to be the main losers if the text is ultimately approved. According to the data, the federal government’s share of oil royalties will drop from thirty percent today to twenty percent in 2020. Governments in producer states will see their share drop from 26.25 percent to twenty percent, while the share for municipalities in these states will fall from 26.25 percent to four percent. As of today (December 13th) it looks as if Congress is determined to override Dilma’s veto. The non-producing states want to start getting royalties in 2013 rather than in 2016 and there is no way the federal deputies from those states will be able to resist the pressure from the governors, mayors, and state and municipal assemblies. The States of Rio and Espirito Santo (ES) will then bring suit, alleging breach of contract, but they will lose, because there is no contract involved. All there is now is a Federal law which determines that the lions share of royalties paid by offshore oil producers to the Federal government (because the Federal government is the owner of all subsoil minerals and all offshore minerals) must be shared back to Rio and ES. The new Federal law simply changes the allocation of what is and has always been the Federal government’s money–it affects not a single contract. I never heard of other states sharing the profits of their natural resources before. The south-eastern states are the first. I don’t remember, for example, it happening with Serra Pelada.